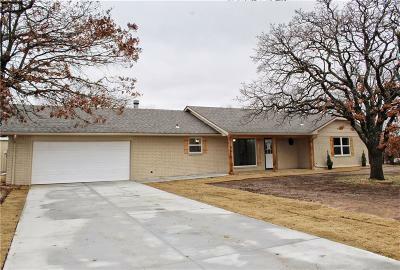 This luxurious ranch style home is a 3 bedroom 2 bath house on an acre of land located in Choctaw on a dead end street. It has been renovated on the inside. The outside has fresh paint and landscaping . It has a new concrete driveway, garage floor, new roof, new windows, new masonite siding, new pressure tank, new hot water tank, new appliances and much more. Must see to appreciate this Great location - it is close to Tinker, I-40, Ten Acre Lake (close to home fishing! ), and Bouse Ball Park.